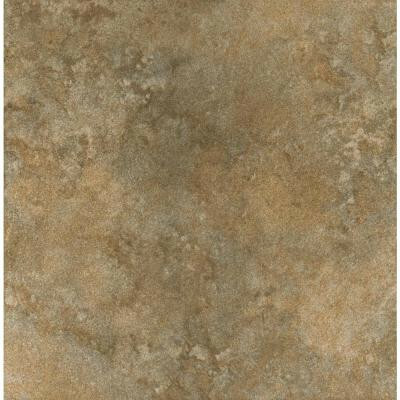 Create a warm, inviting feel in your space with this ELIANE Milano 12 in. x 12 in. Walnut Porcelain Floor and Wall Tile that features a mottled appearance, blending earthy hues that complement a variety of interior decors. The smooth, soft-gloss finish lends a touch of sophistication to any room. Being highly resistant to abrasion, the tile is suitable for most residential floor and wall applications, including backsplashes, and can also be used for countertops for flexible design options. You can buy this product in our internet market. We will be glad if you make the right choice. 14.53 sq. ft., 15 pieces per case. Case weight is 48.94 lb.